Experience the fun and ingenuity of Glow in the Dark Spit Balls! Simply add them to water and watch in amazement as they expand over 200 times their size! They're fun to bounce, roll, and throw! They even slip, slide and explode. 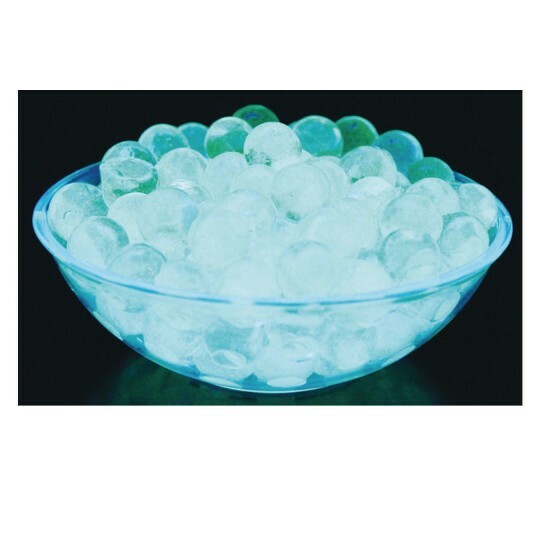 Glow in the Dark Spit Balls are completely reusable and can be dried out and hydrated over and over again for hours of sensory fun. Safe, non-toxic and environmentally friendly. Will glow for hours in the dark and when put under a black-light leaving luminescent trails in their wakes! 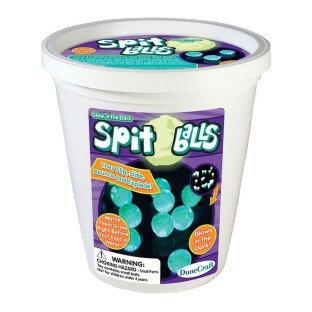 Contains 50 grams of Glow in the Dark Spit Balls!